5. Snowy morning. Orgalit/Pastel. 88 x 83 cm. 6. Series "Russian Dreams".1994. 127x100 cm. 8. 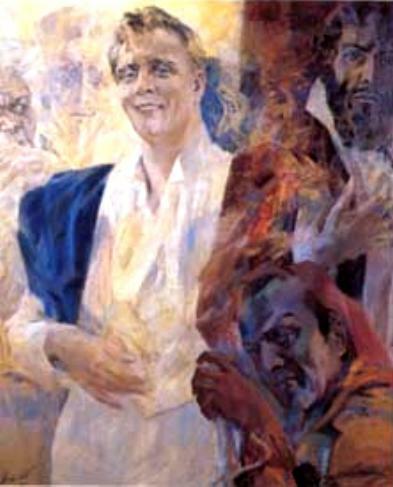 Fyodor Shalyapin and the characters created by him on the stage. 9. Expectation. Series "Russian Dreams". 1993. Orgalit/Pastel. 122 x 85 cm. 11. 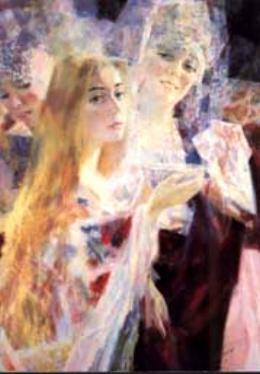 Portrait of Masha Zabello. 1993. Orgalit/Pastel. 110 x 85 cm. 12. Summer. 1988. 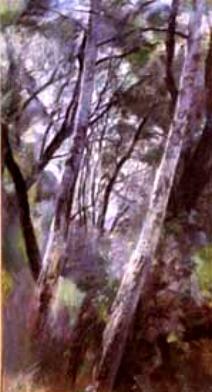 110x59 cm. 13. 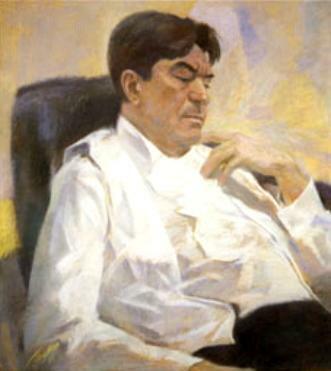 Portrait of Mstislav Korovin. 1980. 100x80 cm. 14. Russian legend. 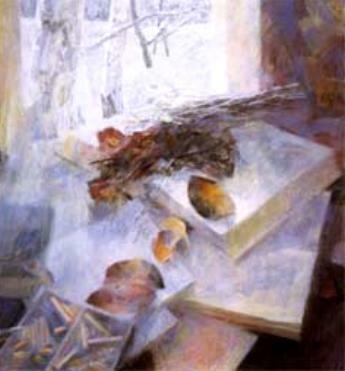 Series "Russian Dreams".1992. 122x100 cm. 15. Portrait of the singer Boris Shtokolov. 1984. 110x100 cm. 16. 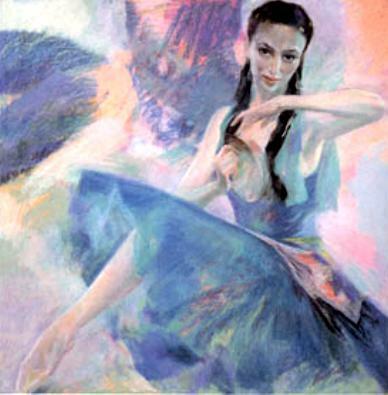 Svetlana Tsoy in the role of Esmeralda. 1993. Orgalit/Pastel. 122 x 122 cm. 17. Singer Tatiana Philimonova. 1987. Orgalit/Pastel. 122 x 90 cm. 18. 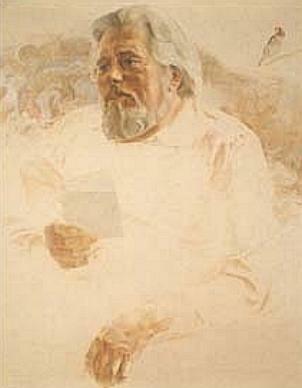 Portrait of the actor Yuri Yakovlev. 1988. Orgalit/Pastel. 110 x 100 cm. 19. Bierches. 1987. Orgalit/Pastel. 122x95 cm. 20. Mermaid. Series "Russian Dreams".1994. Orgalit/Pastel. 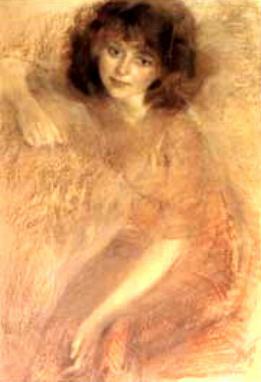 105x92 cm. 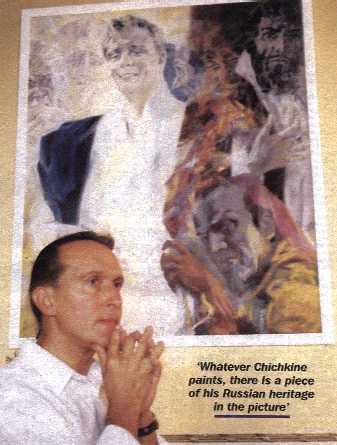 Artist George Shishkin. Gallery 1. 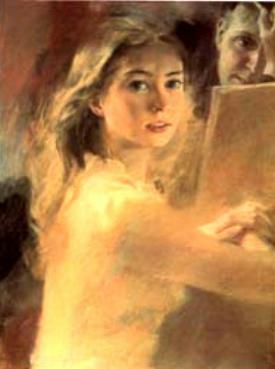 List of Paintings. Snowy morning. Orgalit/Pastel. 88 x 83 cm. Series "Russian Dreams".1994. 127x100 cm. 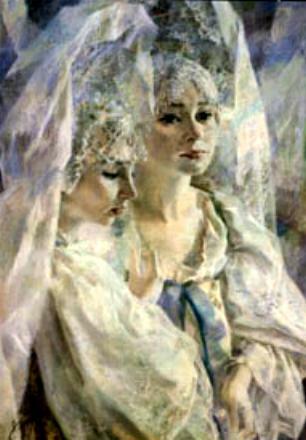 Helene Gogoleva portrait de l''actrice dans le spectacle "Mamoure", d''apres la piece de George Sorman. 1988. 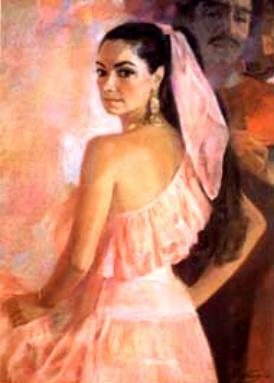 Pastel sur Orgalit, 98 x 94 cm. 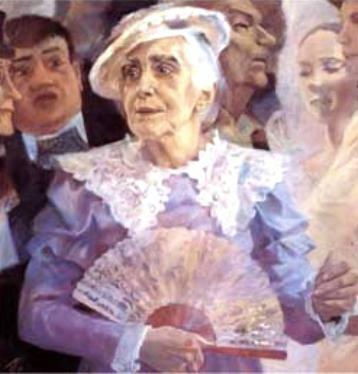 Portrait of the actress Elena Gogoleva in the play "Mamure" by George Sorman. Orgalit/Pastel. Fyodor Shalyapin and the characters created by him on the stage: the Tsar Boris Godunov, Mephistopheles, Don Quixote, Miller, Varlaam, Don Basylio. Orgalit/Pastel. 1993. Orgalit/Pastel, 150 x 122 cm. Expectation. Series "Russian Dreams". 1993. Orgalit/Pastel. 122 x 85 cm. 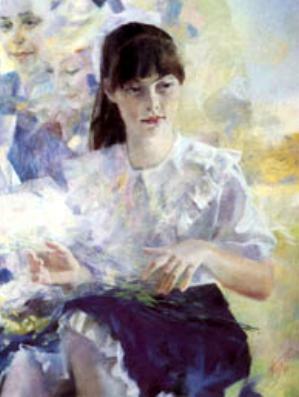 Portrait of Masha Zabello. 1993. Orgalit/Pastel. 110 x 85 cm. 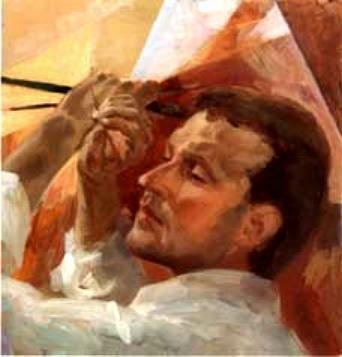 Portrait of Mstislav Korovin. 1980. 100x80 cm. Russian legend. 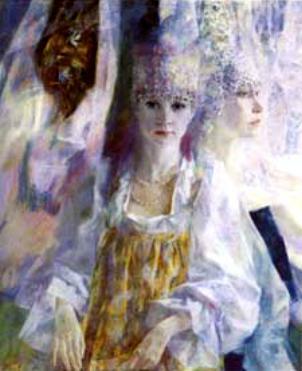 Series "Russian Dreams".1992. 122x100 cm. Portrait of the singer Boris Shtokolov. 1984. 110x100 cm. 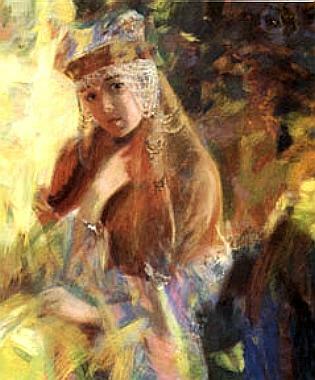 Svetlana Tsoy in the role of Esmeralda. 1993. Orgalit/Pastel. 122 x 122 cm. Singer Tatiana Philimonova. 1987. Orgalit/Pastel. 122 x 90 cm. 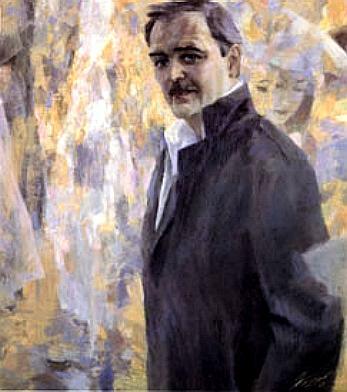 Portrait of the actor Yuri Yakovlev. 1988. Orgalit/Pastel. 110 x 100 cm. Bierches. 1987. Orgalit/Pastel. 122x95 cm. Mermaid. Series "Russian Dreams".1994. Orgalit/Pastel. 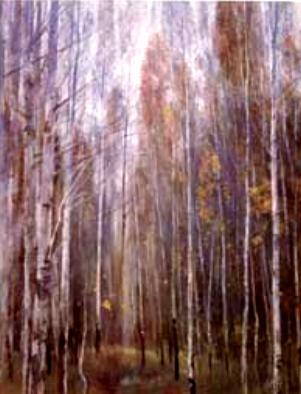 105x92 cm.